100% Pure Hawaii Noni Fruit Juice, made from Morinda Citrifolia. Since thousands of years, the natural healing power of Hawaii Noni juice has been esteemed for its ability to keep the skin healthy, boost energy levels and prevent general body weakness, accelerates wound healing and toughens the immune defense system of the body. 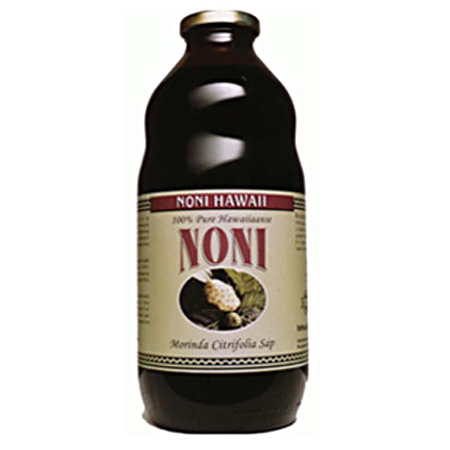 Categories: Antioxidants, Herbs & Tea, Vitamins & Minerals, · Others Brands: Noni Hawaii. Noni Fruit Juice contains only one ingredient, 100% Pure Natural Noni Fruit Juice. Noni juice is derived from the fruit of a small evergreen plant called noni, also known as Indian mulberry normally found in global subtropics and tropics. Botanical name is Morinda citrifolia, noni belongs to the Rubiaceae family and is privileged as the ‘queen’ of the Morinda genus owing to its conspicuous attributes, versatile nature and distinctive capability of spreading itself usually on the seashores without requiring much human intervention. It is often one of the earliest species which grow on the freshly deposited lava flows typically in Hawaiian regions. Noni juice offers an impressive gamut of healthful vitamins, minerals and other phytonutrients. Vitamin content of noni juice include vitamin B1 (thiamine), vitamin B2 (riboflavin), vitamin B3(niacin), Vitamin B5 (pantothenic acid ), vitamin B6, vitamin B12, vitamin C (ascorbic acid), folate, vitamin E (alpha-tocopherol) and beta-carotene. 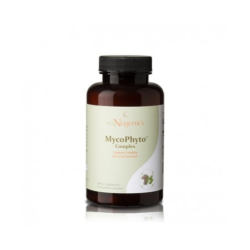 Mineral content present in noni juice include calcium, potassium, magnesium, iron and phosphorus. Along with this, the abundance of natural chemical constituents and an inspiring range of antioxidants such as quercetin, vanillin, pinoresinol, proxeronine, kaempferol, isoscopoletin, bisdemethylpinoresinol and scopoletin accentuate the entire nutritional value of the noni juice. Ingredients: 100% pure Noni Hawaii fruit juice (Morinda Citrifolia). Free from preservatives, colouring and sweetening. 30 ml daily on an empty stomach (at least half an hour before meals). Leaf juice in mouth a few seconds before swallow. 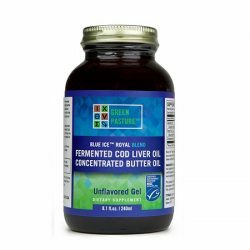 It allows the oral mucosa to absorb the nutrients. Do not take with medicines, alcohol, coffee or black tea. Should not be consumed in large amounts with milk and fruit juices. 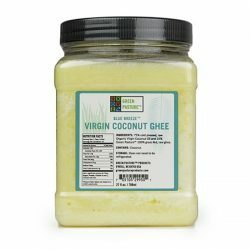 Shelf life up to 2 months after opening; refrigerate. Store cool, dark and dry.